Here comes Peter Cottontail hopping down the bunny trail! Catch him at these locations in McHenry County. 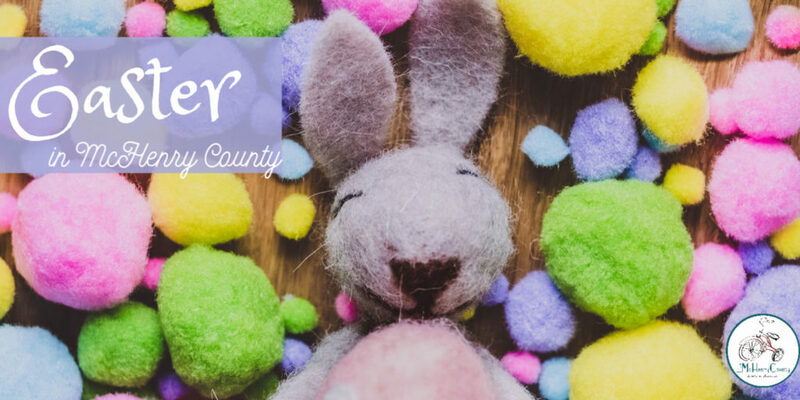 The Little McHenry county Guide to Easter events has rounded up all the Easter fun so that you can hunt for eggs, grab photos with the bunny have a celebratory brunch with a special bunny guest. Events are listed chronologically under each category. We’ll be adding more as information becomes available, so be sure to check back frequently! For a simple, no fuss picture with the bunny, check out the following locations. Many other bunny sightings (with pictures) are available, too, at special events if you want more fanfare with your photo. 13 April 11:00 a.m. – 2:00 p.m.
Look for the Bunny’s tent at the corner of Williams & Brink. Free instant photos with the bunny in a decorated frame (while supplies last). Bring your own camera and take as many pictures as you like. 13 April 12:00 – 2:00 p.m.
Bring your camera and the kids for an adorable picture with the Easter bunny. Free, no ticket necessary. 13 and 14 April 1:00 – 5:00 p.m.
Come visit and take your own pictures with the bunny. 20 April 11:00 a.m. – 3:00 p.m.
Visit with the Easter bunny and take pictures. Share a carrot with the most famous bunny out there! We have a list of some of the best places to dine with the bunny this year. 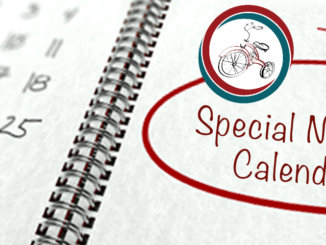 Be sure to call ahead as most of these events require registration or a reservation. 6 April 10:00 a.m. and 12:00 p.m.
Buffet style brunch, visit with the Easter Bunny and an egg hunt. 6 April, 9:00 – 10:15 a.m.
Easter breakfast with Bunny is an annual Park District tradition that you and your child won’t want to miss. A delicious, catered breakfast is served. 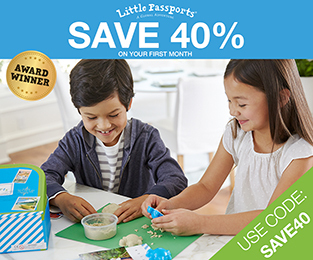 Children one year and older and all adults need to be registered. 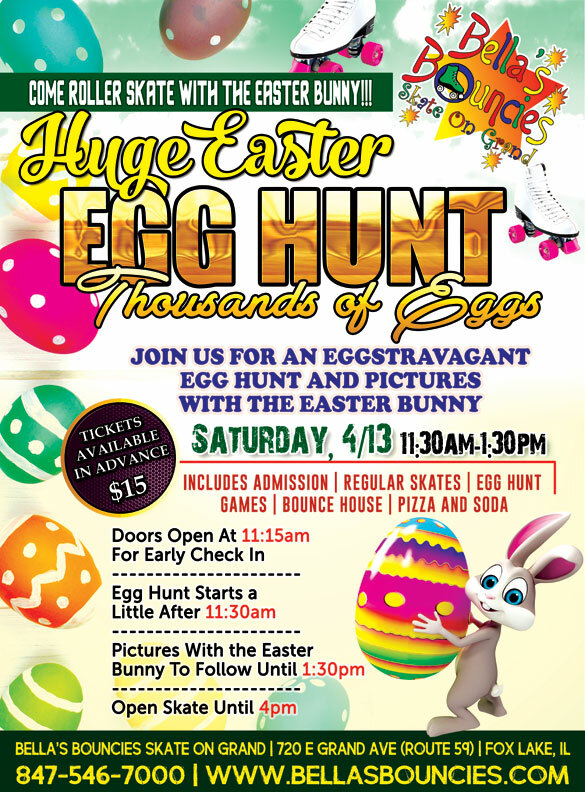 Kids will receive a goody bag, enjoy a breakfast, get their picture taken with the bunny, and go on an awesome egg hunt. 13 April, 10:30 a.m. – 1:00 p.m. Cost: $5 per child/adult, children under 2 are Free. In addition to lunch there will be an Easter Basket raffle, crafts, and photos with the Easter Bunny – don’t forget the camera! 14 April 9:30 – 11:30 a.m. Enjoy a pancake breakfast with the Easter Bunny. Families will be able to spend time coloring, enjoying activities and crafts while having breakfast. here will aslo be a bunny photo booth. Join in for one of these fun, free egg hunts across McHenry County. These events do not require pre-registration. Please follow the links for full information and call ahead in case of inclement weather. Little Lake County is not responsible for cancellations or changes. 7 April 1:00 – 3:00 p.m.
Over 4,000 eggs. Children can hunt in their appropriate age group for treats and other prizes including raffle baskets! The Easter bunny will be visiting along with soft funny bunny friends. Please bring a canned food item for the food pantry. 13 April 9:30 – 11:30 a.m. Celebrate Easter in Harvard! Join us for fun, free Easter activities for ages 0 to 11 years old. Registration begins at 9:30 a.m. and the Easter egg hunt starts at 10 a.m. Please stay after the Easter egg hunt for Easter activities inside the church. Pictures with the Easter Bunny are sponsored by the Women for Harvard. In the event of inclement weather, a modified event will be held inside. 13 April 10:00 – 11:00 a.m. This egg hunt is for children ages 0-12. There will be 10,000 eggs for participants to pick up as quickly as possible. Participants will be grouped by age. 13 April 10:00- 11:30 a.m. 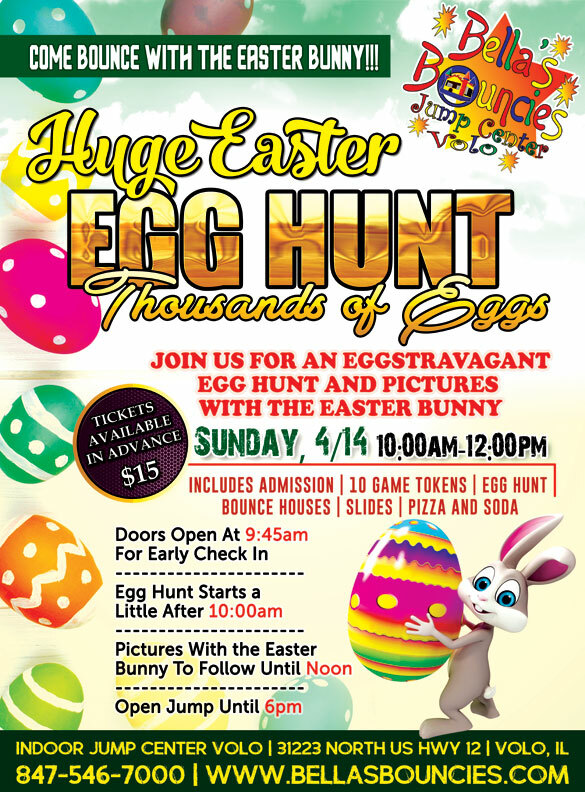 The Village will have eggs filled with candy, small toys, or tickets to win prizes. The bunny will also be on hand for photos. Limit of 12 eggs per child. 13 April 10:00 a.m. – 12:00 p.m.
Join the Easter Bunny for the villages first ever egg hunt. 13 April 2:00 – 3:00 p.m. Grab your best basket and camera and come meet the bunny at the annual Egg Hunt. There will be over 2,500 eggs with two special eggs per age group. There is no charge for the egg hunt, but please bring a non-perishable food item to help support the local food pantry. 14 April 12:00 – 3:00 p.m. Registration will be at noon. First hunt for ages 0-3 will be at 1pm. Second hunt for ages 4-6 will be at 1:30pm. Third hunt will be at 2pm for ages 7-11. 20 April 11:00 a.m. – 2: 00 p.m. There will 2 Groups – Infant – Kindergarten & 1st – 5th Grade. Join Victory Rock for their Easter Egg Hunt. There will be arts and crafts, fun and games, and of course, Easter Eggs! Often egg hunts can be crowded and quite busy. You can avoid the crowds by purchasing your spot at an egg hunt for a different experience this year! The following events require payment and/or registration before the event. Please check each listing before heading out. 6 April 9:00 – 10:30 a.m.
Pony Pals is a hands-on experience for children ages 3 and older. They will learn safe horse handling, groom the ponies, help tack the ponies, and receive hand-led pony rides. Fee includes egg hunt and basket. 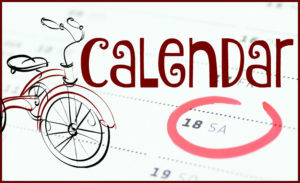 13 and 20 April 10:00 a.m. – 6:00 p.m. Hop aboard the specially-decorated electric cars at the East Union Depot for a train ride with the bunny. At the end of the ride join an Easter Egg Hunt. There will also be coloring activities, pictures with the bunny, and a bounce house. Join the Village of Fox Lake and Fox Lake Chamber for the Egg-citing Easter Egg Hunt. 13 April 11:30 a.m. – 1:30 p.m.
Join Bella’s s for an Eggstravagant Egg Hunt, as well as, pictures with the Easter Bunny! Doors open at 11:15 am for early check-in. Easter Egg Hunt will begin a little after 11:30am. Pictures with the Easter Bunny until 1:30p.m. Open skate until 4:00 p.m. Fee includes skates, bounce house, pizza and soda. 13 April 1:30 -3:00 p.m.
Join in Easter Fun Dolphin Style! DSC is hosting a floating egg hunt for ages 1-13, followed by open swim. 14 April 10:00 a.m. – 12:00 p.m.
Join Bella’s s for an Eggstravagant Egg Hunt, as well as, pictures with the Easter Bunny! Doors open at 8:45am for early check-in. Easter Egg Hunt will begin a little after 9am. Pictures with the Easter Bunny until 10am. Open Jump is until noon. Includes 10 game tokens, pizza and soda. Are the kids bored of the traditional egg hunts in an open field? Bring your tweens to a flashlight egg hunt to keep the fun of Easter still alive! Be sure to click the links for full information as some of these events require pre-registration or payment. 5 April, 8:00 – 8:30 p.m. Explore the outside at night with the Barrington Park District. The Easter Bunny will be hiding special glow-in-the-dark eggs just for little ones, ages 18 months and older. Cider and a snack will be served, children are limited to 15 eggs each. 5 April 8:00 – 9:00 p.m. The Bunny has left some special eggs for you around Towne Park and it’s your job to find them. Grab your flashlight and basket and head down to the park to look. 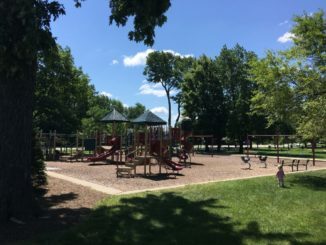 We will meet at the pavilion and then head out in to the park. Please be sure to bring a basket and flashlight. Event is free but registration is required. 12 April 7:45 – 9:15 p.m.
Children ages 3 and older. Tired of the old crowded egg hunt? Come out in the dark and have some fun being nocturnal and go on our Scavenger Hunt. Bring the family or bring some friends and have fun after hours in Veteran Acres. Gather around the fire to start the night and then when you’re done the fire will still be going to warm you up. 6 April 9:30 – 10:30 a.m. Hop on over to the Historic Village Hall for a morning of fun with the Bunny. 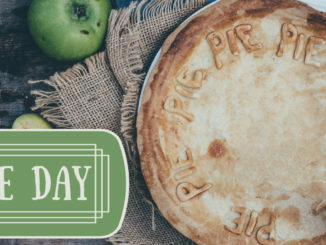 The event will include craft projects, games, and snacks. Bring a camera for pictures with the bunny. 8 April 6:00 – 7:00 p.m.
A Spanish Language event for children. Ven a la biblioteca con tus amigos para hacer una guirnalda de hilo para la pascua. Para todas las edades. 20 April 10:00 – 11:00 a.m.
All children through 4th grade and their parents are invited to participate in hearing an Easter story and making a craft followed by an EGG HUNT. Great opportunity to meet and take pictures with the Easter Bunny! 20 April 11:00 a.m. – 12:00 p.m. Hop into the library for a special Easter storytime. listen to stories, make a craft and go on an egg hunt in the library. Did we miss your favorite Easter event? Tell us about it in the comments!